Who knew that fungi could be so fashion forward? We certainly didn’t until we started putting bandanas and crowns on our fungal friends in Game 4! There he goes! Stunning movement while owning that crown like no other. He’s king of the ancient Plantae world! Next up, we can see Axel sporting a clean look while being surrounded by the opposing team. No need to fear for her though, because mushrooms love to be the center of attention! In fact, they are at their best in these types of situations. Thumbs up for fighting with flatulence! Here’s Gorton with a rootin’ tootin’ bandana! Go ahead and take a closer look! But if you think Gorton’s fumes are a bit too spicy to handle, try taking a step back for a breath of fresh air! Way to take a breather, Yosef! Even if you are standing right next to a mushroom you could get lucky and get away unscathed–but we wouldn’t risk it! There’s plenty of mushroom knowledge to utilize when you’re in battle. -Mushrooms seem like they’ve got all the right moves to steal the show, but everyone has a weakness. Avoid mallets if you want to continue breaking that wind. -Robots and fellow mushrooms are immune to the smell — obviously! Subject to change since you never know when we’ll start building robots with sensory ducts. -When Cupcakes get a whiff of Mushroom aroma, it affects their flavor and their life expectancy. 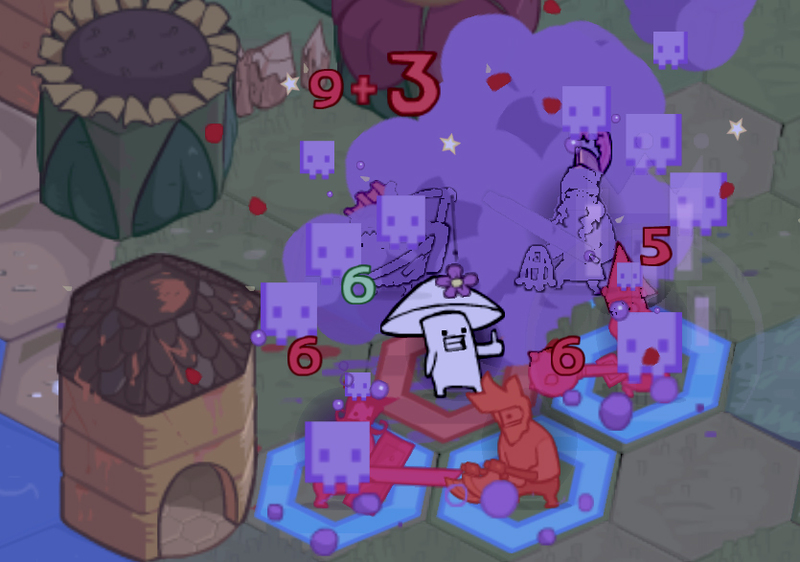 Cupcakes take bonus damage from Mushroom musk! Now you’re ready to go! Don’t be shy like this little guy. Rock that body odor like an anti-Old Spice commercial! How to get these Mushroom specific items in Game 4: Items could pop up for purchase in the Market (if you already have a Mushroom in your team) or they could be potentially acquired through loot & rewards. But we find that the easiest way to get what you want is to Recruit a Mushroom in battle if they have the desired accessories or facial expressions on their being. Mix and match accessories and faces as you wish! Tell us what you think about Mushrooms! Would you recruit a Mushroom onto your team?